A. Scott Berg is a Pulitzer Prize and National Book Award winner who has made a career out of chronicling the lives of famous Americans like Charles Lindbergh and Katharine Hepburn. His latest, and possibly most ambitious biography, Wilson -- released on September 10 ($40, G.P. Putnam’s Sons) -- brings a personalized view of the nation’s 28th president, a man history often depicts as grim, cold, and aloof. I spoke with Berg to get an insider’s view of the book and an understanding of some of the places that helped to shape not only Berg’s view of Wilson, but Wilson’s view of the world. 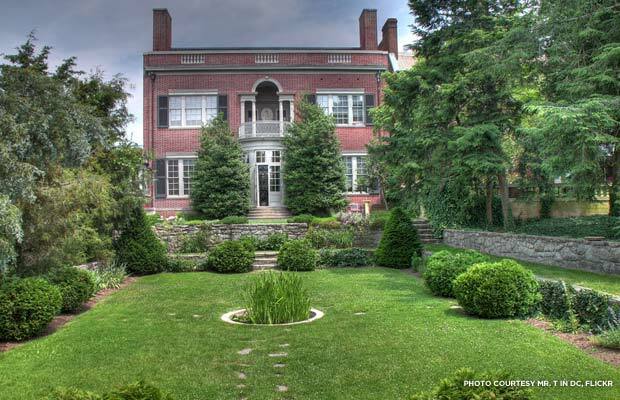 The Woodrow Wilson House gardens in Washington, D.C.
As a biographer, what kind of role does place play in your assessment of your subject? Getting a sense of place is extremely important to me as a biographer. And I make a point, as I have in all of my books, to visit as many of the places in the lives of my subjects as possible. In the case of Woodrow Wilson, I visited his birthplace in Staunton, Va., two more childhood homes, one in Augusta, Ga., and one in Columbia, S.C., and then, best of all, the Woodrow Wilson House, on S Street [in Washington, D.C., now a National Trust Historic Site], where Wilson spent the last three years of his life. And I think that that house is just one of the greatest treasures in this country. Can you tell me a bit more about your experience at the Woodrow Wilson House? The Woodrow Wilson House has been preserved so beautifully that it doesn’t feel like a museum in any way, but feels as though, at any given moment, Woodrow Wilson is going to enter the room. You can feel Wilson’s presence. You see his books on the wall, his Princeton robe hanging there. You can really get a great sense of the human side of Wilson in that house. And it really helped me reconstruct the very tragic ending to one of the greatest lives of the 20th century. 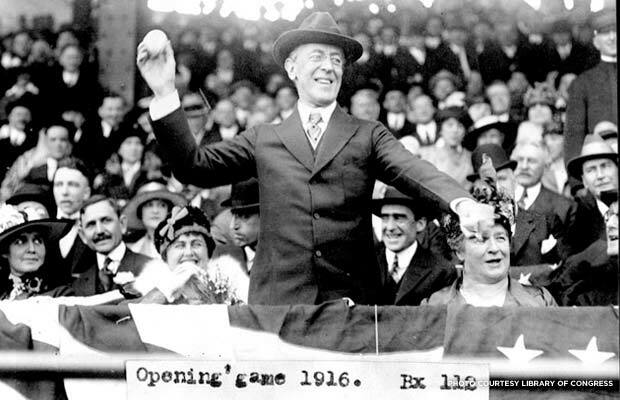 Woodrow Wilson throws out the first pitch on baseball's opening day in 1916. You mention in a piece with Vanity Fair that Wilson’s childhood in the South created in him a sensitivity to the Civil War and Reconstruction. How did that experience in his youth influence his presidency and policy? And [those memories] become very apparent when war breaks out in Europe in 1914. Increasingly, a lot of people wanted the United States to get into the war and Wilson kept resisting as long as he could; mostly because he remembered what war could do to a country and he did not want to impose that devastation again on Americans. One of the most interesting parts of the book covers Wilson’s courting of his second wife from the White House. What was that like? This is one of the reasons why I said that the Wilson White House was perhaps the most traumatic that the country has ever seen. Wilson’s beloved first wife, Ellen, died just one year after Wilson had taken office, and Wilson was utterly distraught and deeply depressed as a result of that. And while he was in this deep depression, his doctor introduced Wilson to a very attractive young widow living in Washington and the president fell instantly in love. So what had been an extremely lonely house suddenly came alive as Wilson was revived and he carried on this extremely discreet, quite private courtship with Edith Bolling Galt. And through a series of letters and dinners at the White House, wholly chaperoned, Wilson was able to court Mrs. Galt and after a year was able to convince her to marry him. In 1919, Wilson made a national tour to generate support for the League of Nations. Was there any place on the tour that was particularly significant? 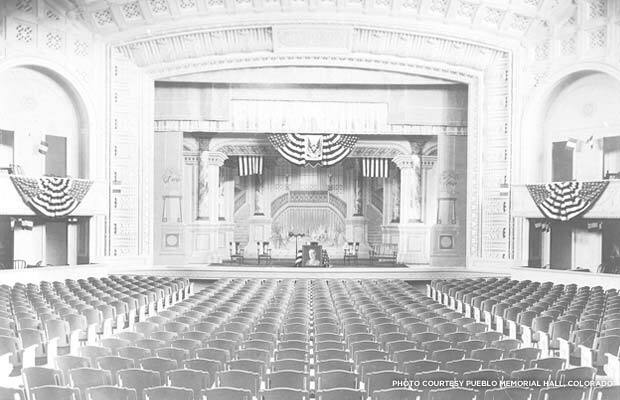 The [speaking] hall in Pueblo, Colo., which was deep into the tour. There, for the first time, he really gave a faltering speech and he almost stumbled getting up to the platform. It was an extremely emotional speech that Wilson delivered and it was after that speech that he began to suffer from blinding headaches and suffered a collapse on the train. And it was that moment that the doctor said the tour must end. So that place was of great significance on the tour, not just because it preceded the collapse, but because it was this very emotional speech that he delivered -- in some ways the most emotional, in fact. Through all of your work and research, is there one place that you can identify as Wilson’s favorite? The place that seemed to have meant the most to Wilson in the entire world was the Lake District of England. And in his early days as a college professor, whenever Wilson had a vacation, he would take off and go visit the haunts of his favorite poet, William Wordsworth. He would take his family and they would rent a house and live up there in Rydal, which was where Wordsworth had lived. And this was, for him, the most beautiful and refreshing part of the world. It really put Wilson in touch with himself. He always talked about retiring and going to the Lake District. That was his dream. Of course it was never to be and he ended up dying in the house on S Street. 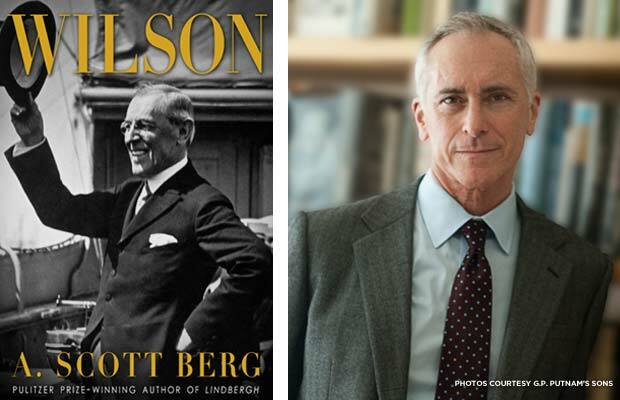 To purchase a copy of A. Scott Berg’s Wilson, visit your local bookstore or find it here. To take a tour or learn more about the Woodrow Wilson House in Washington, D.C., visit their website.